In February 2007, while building the playground for children in Kovalam's Kottai colony, we learned that 80%-90% of the families in Kovalam don’t have access to toilets. People, including women and children, have no choice but to use nearby fields, the riverbank or the seashore as a latrine. In community meetings everyone agreed that our next project should be the building of toilets. A proposed community toilet was rejected, so we decided on a pilot project to build 'private' toilets. The need is for several hundred toilets in Kovalam. There are no sewer pipes or sewage treatment plants in Kovalam. The few toilets in the community are usually pit toilets--basically a hole in the ground. 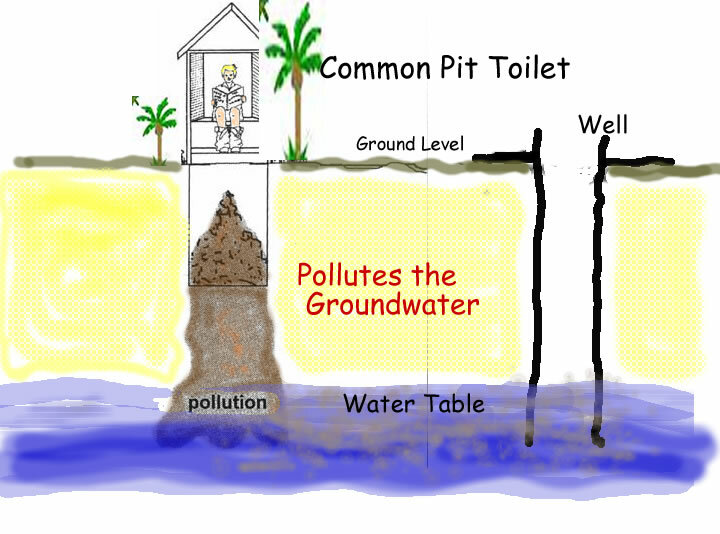 However, in a coastal area where the water table is high and dwellings close together, pit toilets--and those those connected to a septic tank—contaminate nearby wells with human feces. Cholera, dysentery, diarrhea, and typhoid are common. 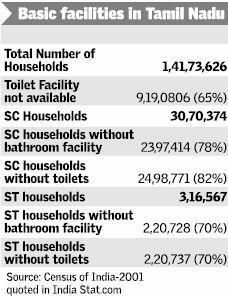 In Tamil Nadu, 65% of all households, urban or rural, do not have toilets. For the Scheduled Castes (former ‘untouchables’) the situation is worse: 82% are without toilets. In Kovalam’s Scheduled Caste colonies, 90% are without toilets.